Steven Garfield was born in Northern New Jersey and spent summers in Loveladies, Long Beach Island. At the age of 16, he was already studying painting with renowned American surrealist Leon Kelly (1901-1982) on Long Beach Island. That same summer he met his future wife, Judith, with whom he has collaborated with in life and in design since 1966. While studying painting at the Pennsylvania Academy of Fine Arts in Philadelphia, he had another life-changing event, working with famed craftsman furniture-maker George Nakashima (1906-1990) in his New Hope studio. In the laboratory-like setting, Garfield learned the process of making fine furniture from the master. 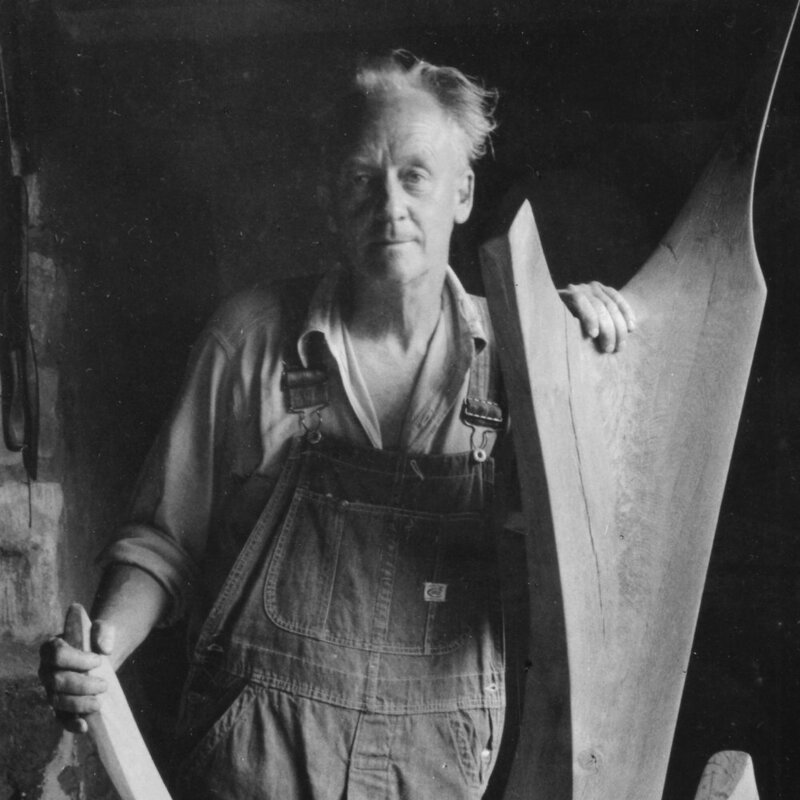 "I learned a lot from George and the other craftsmen in the Nakashima studio, both technically and spiritually - the connection between the trees we used, the furniture we made, and the idea of creating something that was truly eco-conscious long before people talked about the kind of thing. The studio was a very peaceful place and time flew by." Garfield furthered his skills at the New York City studio of Don Ruseau, a maker of fine 17th and 18th century antique reproduction furniture for museums and private collections. Now married, Judith and Steven started designing dresses under the label Judith Lowe. Soon their clothes were on the cover of Town & Country and Harper's Bazaar and so began a successful 30-year career in the fashion industry. The other label, TRIO New York, launched in 1993 and had a run of 10 years while also becoming a press darling. A lover of the rural life and horses, Steven and Judith spent their weekends at farms they owned in Bucks county, PA and New Jersey, while raising two daughters in Manhattan. They now reside full-time on January Farm in Hunterdon County, New Jersey where Garfield indulges in his two passions: woodworking and raising and training horses for polo and fox hunting. He spends his day sketching, milling trees and working on his commissions and collection. When not in his studio, you'll find him tending to his herd of horses. "They live, work, train, and play together," says Garfield of his charges, all whom have Spanish names. It seems only natural that his furniture line would have a Spanish name as well. (Arbol means tree in Spanish.) Garfield has ridden all of his life, has been a nationally ranked polo player, fox hunts and trains a new group of enthusiasts in these time-honored sports.